– King Philip built a 2-0 lead by halftime but had to hold off a rally from Franklin to earn the win on a rainy afternoon. Alli Meehan scored twice in the first half, the first set up by Meghan MacDonald in the sixth minute and the second assisted by Abby Nixon with 16:59 left in the half. Franklin’s Ashley Reutlinger opened the scoring in the second half to get within one but MacDonald (assisted by Paige Berdos) answered for KP. Victoria Quinn scored Franklin’s second goal with an assist from Amanda Lewandowski. Mackenize Manning made 11 saves in net for KP while Anna Jardine made eight stops for Franklin. Kate O’Rourke had an outstanding performance defensively for the Panthers. 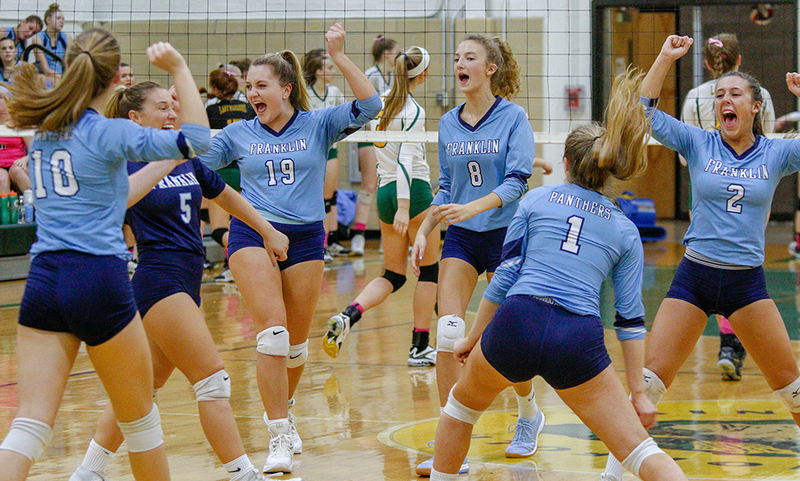 "First-year Franklin head coach Kelsey Weymouth didn’t talk about her team’s chance to clinch a league title before its big showdown with King Philip, so she wasn’t quite sure if they knew.